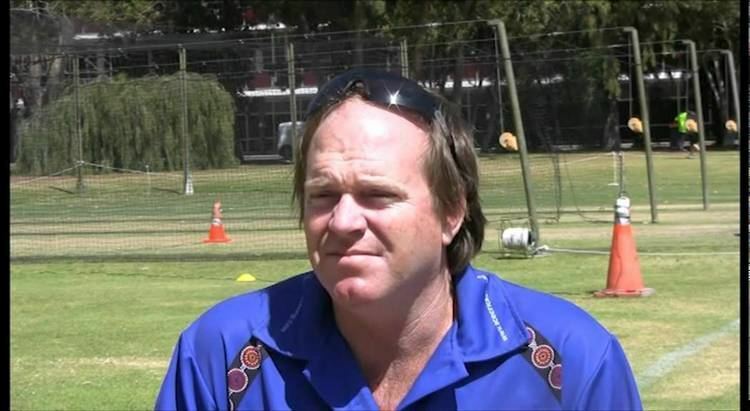 Michael John Raymond Rindel (born 9 February 1963) in Durban, Natal is a former South African cricketer and played 22 One Day Internationals for South Africa from 1994 to 1999. He played for several teams during his career, playing for Northerns and Easterns in South Africa, in addition to minor counties cricket for Buckinghamshire and Staffordshire. He was professional for Stockport CC in the Central Lancashire League in 1988. He made his ODI debut with a Man of the Match Paerformace with an all round performance of 32 runs and 2/15 against New Zealand during the Mandela Trophy in 1994–95. His only century in ODIs was 106 against Pakistan at Wanderers Stadium, Johannesburg during the same tournament. He was run out 5 times in his first 7 ODIs.